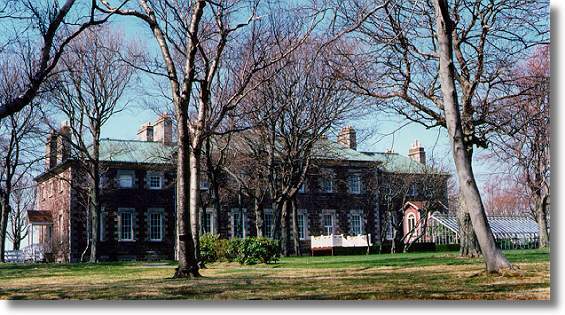 Government House has been the home to a number of high-profile and influential women - the wives of the Governors. As one-half of the Vice-Regal party, the wife of the Governor was at the social centre of the upper classes in St. John's, a position which provided her with tremendous social power and influence. She could raise economic and material support for any project which interested her. As the leading upper class woman, the Governor's wife was expected to involve herself in 'good works', both to set an example for the rest of society, and to establish her own social preeminence. Photographed on their farewell tour across Newfoundland, ca. 1945. Courtesy of Archives and Special Collections (Newfoundland and Labrador Women's Institutes, Collection 166), Queen Elizabeth II Library, Memorial University of Newfoundland, St. John's, NL. From 1917 to 1922, Lady Constance Harris directed organizations such as the Women's Patriotic Association and NONIA, and in the mid-thirties, Lady Muriel Anderson and Lady Eileen Walwyn founded and ran the Jubilee Guilds of Newfoundland and Labrador. Lady Walwyn acted as Patroness to other worthy causes such as the SPCA and the Girl Guides, as had other Governor's wives before her. 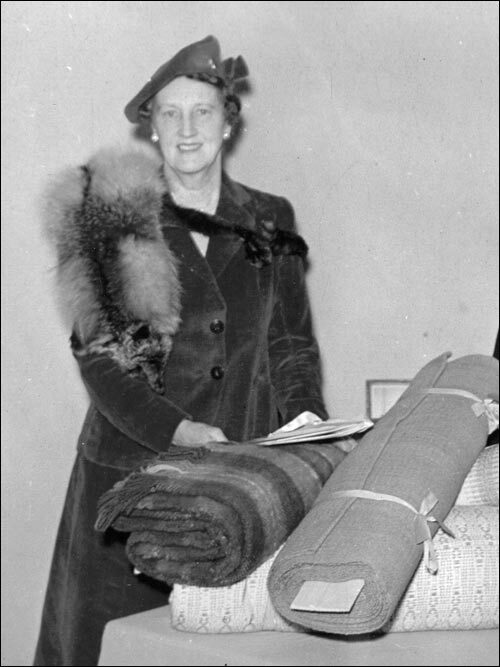 Receiving a gift of bolts of hand-woven cloth from the Jubilee Guild Membership, 1945. Lady Henrietta Hamilton was the first wife of a Governor to live in the colony while her husband served here from 1818 to 1824. 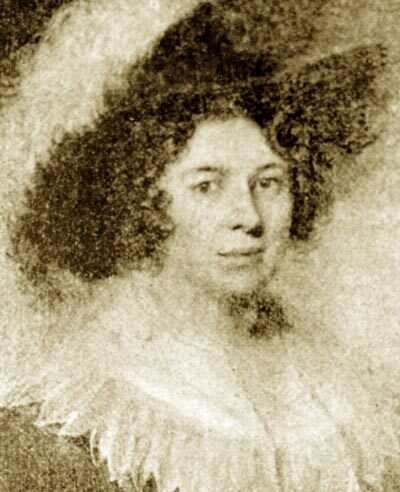 Lady Hamilton was an amateur painter and portrait artist, and was responsible for preserving an important part of Newfoundland history through her art. Her portrait of the Beothuck Indian known as Demasduit - or Mary March - has become a symbol of the now-extinct Beothuck people. 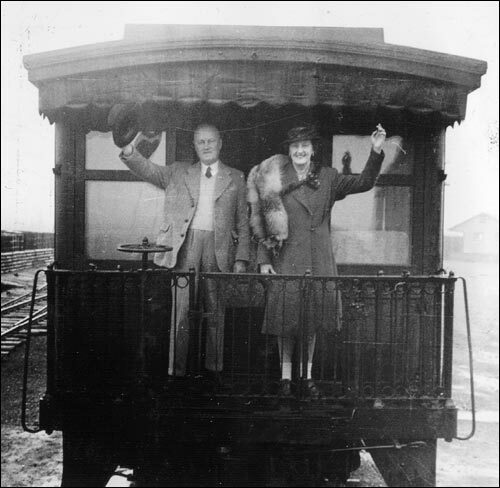 Courtesy of Archives and Special Collections (Collection of the Encyclopaedia of Newfoundland and Labrador), Queen Elizabeth II Library, Memorial University of Newfoundland, St. John's, NL. The story of Demasduit's capture and death is symbolic of the attitudes held by the colonials toward the native populations of Newfoundland and Labrador. White settlement increasingly challenged the Beothucks' traditional hunting and fishing areas' resulting in many violent encounters. The Beothuck were seen as competitors and savages to be eliminated. Demasduit was captured on March 5, 1819 by Bay of Exploits planters John Peyton, his son John Jr., and their party. These men had been given permission by Governor Charles Hamilton to search among the Beothucks of Red Indian Lake for articles that had been stolen from their fishing rooms. In an attempt to rescue his wife from Peyton, her husband, Nonosbawsut, was shot and killed. Demasduit was taken captive by Peyton's party and taken to Government House in St. John's. While there her portrait was painted by Lady Hamilton. Demasduit was eventually returned to Twillingate into the care of Reverend John Leigh, but became ill with tuberculosis. David Buchan, a British explorer who had attempted to establish friendly relations with the Beothucks, made several attempts to return Demasduit to her people. She died on one of these journeys. Demasduit's body was returned to Red Indian Lake.